A self-consciously cosmopolitan thinker, Boito created Mefistofele as a manifesto for a new aesthetic appropriate for the nascent nation of Italy. 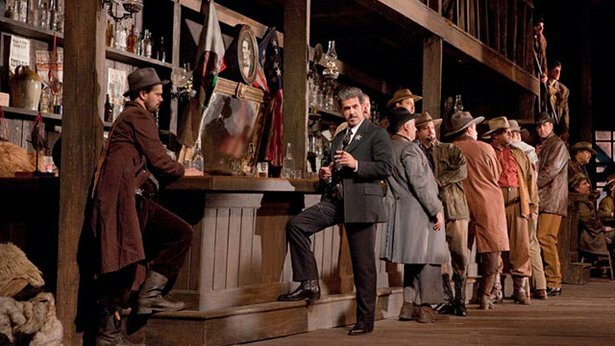 The title role in particular has been a showcase for many of the world’s leading basses and bass-baritones, but there is much more that keeps this opera in the repertory. 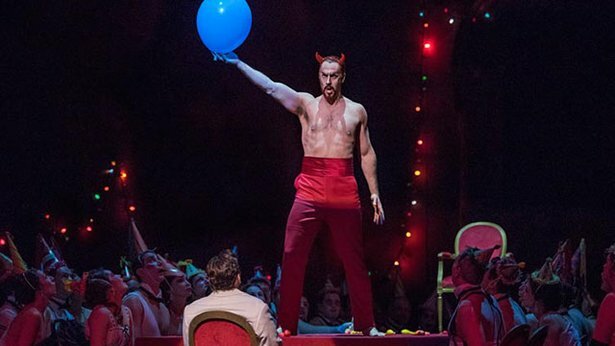 The grandeur of its conception—including the scenes in Heaven—its moments of the irresistible lyricism, and its devilish passages for soloists and chorus are all further reasons why this opera continues its hold on audiences. A perennial NPR favorite with all new Hanukkah stories. Authors TBA. Hosted by Susan Stamberg and Murray Horwitz. Join Jonathan Miller, artistic director of Chicago a cappella and a longtime champion of Jewish choral music, for an inspiring and informative show featuring choral music set to Chanukah texts. Familiar tunes include "I Have a Little Dreidel" (both in its original Yiddish form and in a neo-funk Hebrew/English setting), a swing version of "S'vivon" by Steve Barnett, and a lively setting of the traditional melody for "Al-Hanissim" ("For the Miracles") by Elliot Levine. Heartfelt original compositions by American and British composers provide added depth of expression to celebrating the holiday. Such works include "Lo Yisa Goy," a plea for peace by Stacy Garrop; Bob Applebaum's stirring new version of "Haneirot Halalu"; and movements from the majestic "Hallel Suite" by London-based Daniel Tunkel. All selections are performed by Chicago a cappella, the virtuoso vocal ensemble. Jonathan Miller provides liturgical and cultural background as part of this unique look inside old and newer choral Chanukah traditions. 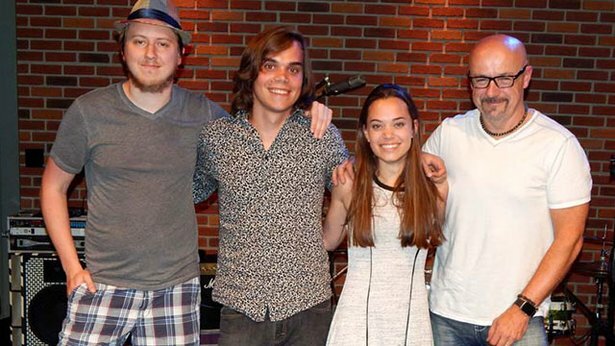 A young sibling duo and their band from Upstate New York, the Arndts are attracting national attention with their constant touring, energetic blues rock, and Jocelyn’s powerhouse vocals. 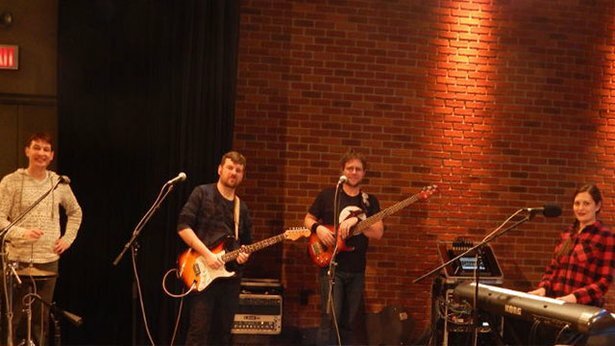 The quartet put in a memorable Homegrown Music concert appearance last year. This is an encore of their series debut, a studio session from 2016. 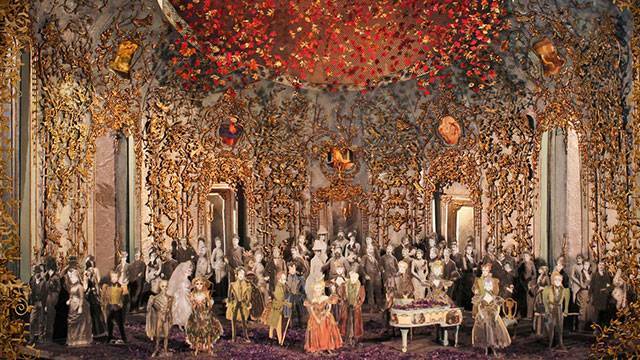 Puccini’s longest and most ambitious evening of theater, Il Trittico is a triptych of one-act operas that together present a unique overview of the human experience. 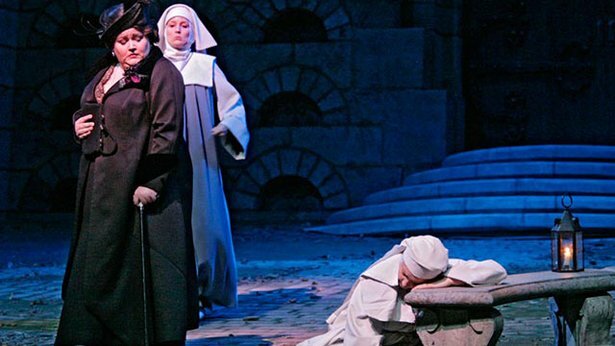 Taking a cue from Dante’s Divine Comedy and its three-part journey from desperation to light, Il Trittico offers a modern glimpse at ordinary people striving for happiness. Shortly after the work’s world premiere at the Met, opera companies began producing the individual operas in combination with short works by other composers, but the full evening as Puccini intended it is a profound and refreshing experience from one of opera’s most popular composers. Giacomo Puccini (1858–1924) was immensely popular in his own lifetime, and his mature works continue to form the foundation of almost every opera company in the world. His operas are celebrated for their mastery of detail, sensitivity to everyday subjects, copious melody, and economy of expression. Giuseppe Adami (1878–1946) provided Puccini with the libretto for La Rondine and Il Tabarro and would later work with him on Turandot. Giovacchino Forzano (1884–1970) was a stage director and playwright as well as a prolific librettist. His libretti for Suor Angelica and Gianni Schicchi are original creations. Lynne Warfel hosts an hour of gorgeous, contemplative choral music that tells the traditional Christmas story with songs about angels, the star and the manger scene. Featured artists include Cantus, Chanticleer, Cambridge Singers, Bryn Terfel, Emma Kirkby, Jessye Norman, and a variety of choirs. 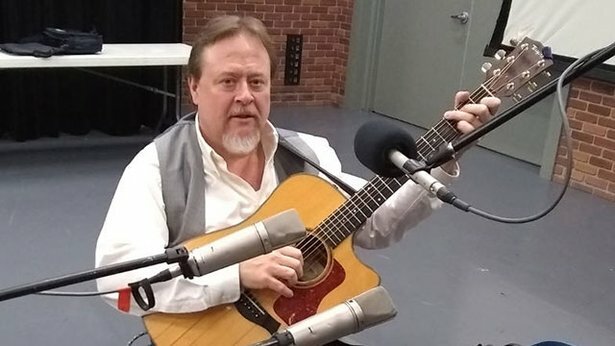 A traditional-style folksinger, Joe Rollin Porter released an album called Take This Hammer earlier this year, which has been featured on WVIA’s Mixed Bag. He makes his Homegrown Music debut with a set of his interpretations of traditional songs, with some very impressive finger style guitar playing. Verdi’s La Traviata survived a notoriously unsuccessful opening night to become one of the best-loved operas in the repertoire. Following the larger-scale dramas of Rigoletto and Il Trovatore, its intimate scope and subject matter inspired the composer to create some of his most profound and heartfelt music. The title role of the “fallen woman” has captured the imaginations of audiences and performers alike with its inexhaustible vocal and dramatic possibilities—and challenges. Violetta is considered a pinnacle of the soprano repertoire. Bill McGlaughlin, host of Exploring Music, explores how Winter holidays are celebrated around the world, and their music is wonderful to hear, regardless of which tradition you observe. Bill’s spirited selection starts in the 12th century with Nova Stella, medieval Italian Christmas music from Saint Francis of Assisi’s staging of the nativity; jazz pianist Dave Brubeck’s classical composition La Fiesta de la Posada, evoking a Mexican Christmas celebration; and Vaughan Williams' Fantasia on Christmas Carols. We will enjoy this time of year in Paris with music from Debussy, and then travel to Polynesia for a traditional hymn, A nau Oia Ea. And then ending with an excerpt from Gian Carlo Menotti’s Amahl and the Night Visitors from the original television production. Turn on your radio, pour a cup of tea, cozy up to a warm fire, and enjoy the music! One of the most beloved traditions of the holiday season is the Festival of Lessons and Carols, a service made famous 100 years ago at King’s College in Cambridge, England. The Festival tells the Christmas story in words and music, and is presented all over the world in many languages and variations. This Christmas, treat your listeners to A Rochester Festival of Lessons and Carols. The program was recorded at Third Presbyterian Church in Rochester, New York under the direction of organist/choirmaster Peter DuBois, who is known to public radio listeners across the country as the host of With Heart and Voice. The one-hour program will consist of the traditional readings that were selected by King’s College Dean Eric Milner White in 1918, and includes music by Elizabeth Poston, Herbert Murrill, Harold Darke and Morten Lauridsen. Third Presbyterian’s Chancel Choir is recognized for its performance of English Church Music. In 2001 the group served as choir-in-residence at the Rochester Cathedral in Kent, England, singing the daily service of Evensong. And in August 2005, they were selected as choir-in-residence at St. Paul’s Cathedral in London. The choir includes both professional and talented amateur singers, drawing on the rich talent of the Eastman School of Music, the local musical community, and the congregation of Third Presbyterian Church. Last year frequent Homegrown Music guests, the Empty Pockets returned for a fun session of original holiday songs, plus clever reworkings of some of the standards. This is an encore of that 2017 session. This service in song and word has become one of the nation's most cherished holiday celebrations. The festival includes hymns, carols, choral works, as well as orchestral selections celebrating the Nativity and featuring more than 500 student musicians in five choirs, and the St. Olaf Orchestra. Host Valerie Kahler shares the sights and sounds of this choral favorite. 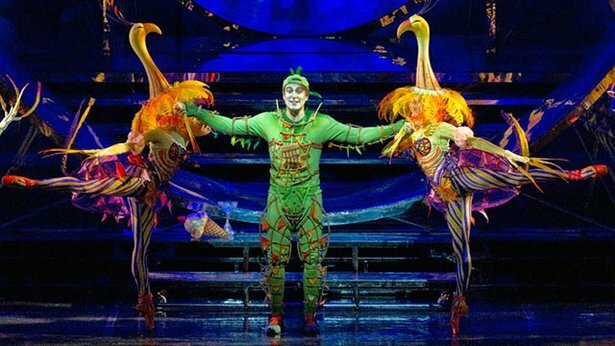 A sublime fairy tale that moves freely between earthy comedy and noble mysticism, The Magic Flute (Die Zauberflöte in the original German) was written for a theater located just outside Vienna with the clear intention of appealing to audiences from all walks of life. The story is told in a singspiel (“song-play”) format characterized by separate musical numbers connected by dialogue and stage activity, an excellent structure for navigating the diverse moods, ranging from solemn to lighthearted, of the story and score.